I did it! I went to a trapeze class! And it was fab! I say "trapeze class" for simplicity but it was actually a two hour class divided between static trapeze (so: no chucking partners through the air) and aerial silks (wrapping yourself in fabric, up high). I loved, loved, loved the trapeze (which wasn't very high off the ground at all and had a huge crash mat underneath it). A lot of the moves were things I used to do on the swings as a kid (in fact, some of them were things my daughter already does) but, to a grown up who can't do a pull up for longer than a split second and is incapable of any kind of press up no matter how many knees I put on the ground, they all looked very daunting. But then I got up there. AND I DID THEM! And I felt like the most graceful, nimble, Swan-costume-wearing ballerina-esque sprite ever. Amazing. The aerial silks I wasn't as sold on - they didn't seem to agree with my dodgy hips at all - but my friend really enjoyed them; she was doing all kinds of fancy things by the end. I, meanwhile, can confirm that you're unlikely to injure anything other than your pride if you fall off. 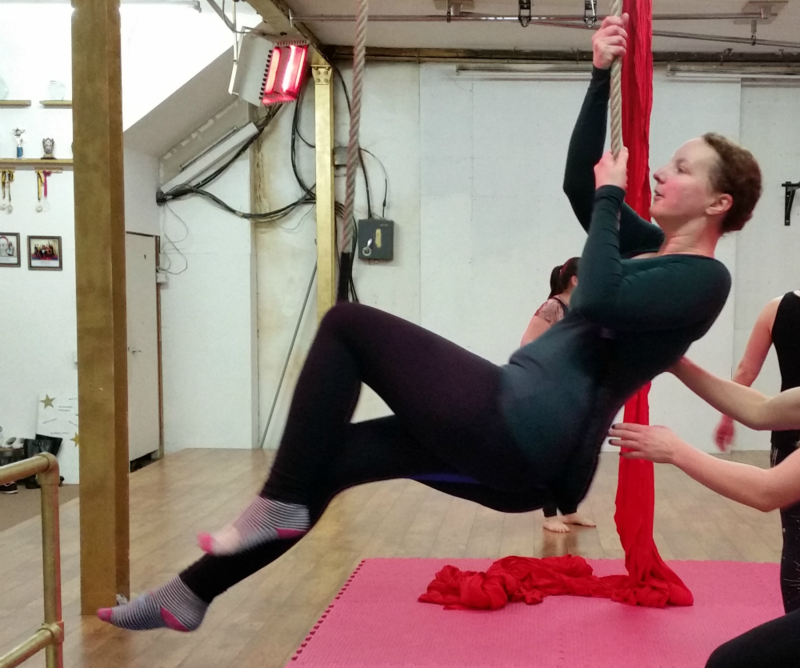 I can't justify spending £15 a week on the classes but my friend and I do both plan to go back now and then - we both had a great time, and the instructors did tell me that there are people who just do one activity or the other, should I want to stick to trapeze. For any locals who fancy it, I did the class at Inverted and I highly recommend it. A friend and I went to a drive in showing of Elf at the local football stadium (actually: in the local football stadium car park, but that sounds a bit dodgier, doesn't it?). There was a screen at the front of the car park showing the film, the cars were carefully arranged in a fanned out pattern so everybody had a clear view, and we all tuned our radios to a specified frequency to hear the dialogue. It was a bit odd, watching a film with one mate in a car park - it felt more like watching TV than going to the cinema; we were completely disconnected from the rest of the audience - but we got hot chocolate from the tuck shop and worked our way through a huge bag of Celebrations so, all in all, it was a pretty fun way to spend an evening. Actually, it was the first time I had seen Elf, so I guess this post could have been called "FOUR New Things I've Done This Week". As for never having seen Elf before: I KNOW. What sort of blogger am I?! This is particularly shocking given that a friend loaned me her copy a year ago. I wasn't all that sure if I would enjoy it (sorry, Elf-lovers) but, other than the ickiness of the Will Ferrell/Zooey Deschanel age gap (13 years), I thought it was loads of fun, largely because it made no attempt to be a grown up movie whatsoever. MM, my mum and I went to The Lemon Tree to see WHITE, a show aimed at 2-4 year olds. 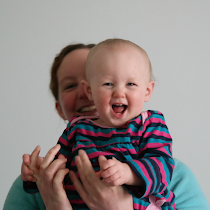 This wasn't MM's first theatre trip - Steve and I took her to a baby show called Duvet Day when she was eleven months old and tottering around looking stunned by everything. But this did feel like a first. This was the first time she went to the theatre and understood the story. To be honest, I wasn't sure we were going to make it through more than five minutes. We had had a rough night of teething and MM seemed to be struggling with being in a strange place surrounded by strange people for mysterious and no doubt strange reasons; she was unusually clingy in the waiting area. But then the show started. And she was noisily captivated ("White! Hats! Birds' houses EVERYWHERE!"). The premise was simple (the world is all white; colour starts to appear and that is scary and bad; but, actually, isn't colour rather lovely? ; yes, it is!) and the dialogue was all words and phrases MM already uses; she seemed to understand the story and, by the end, she was positively beaming. As were my mum and I. It was wonderful. Well worth the five moments of trauma beforehand.